Desktop synchronization program for efficient document management. Developer website: Infraware Co., Ltd.
Is there a better alternative to Polaris Office Sync? Is Polaris Office Sync really the best app in File Management category? Will Polaris Office Sync work good on macOS 10.13.4? Polaris Office Sync is a part of Polaris Office service. 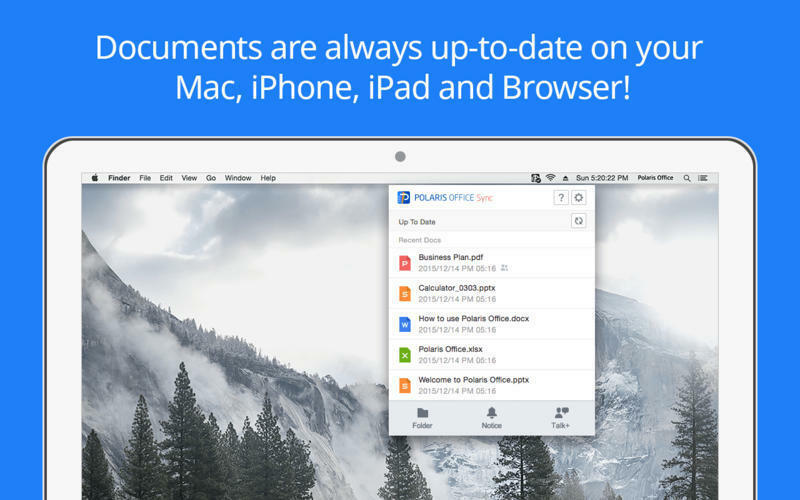 Polaris Office allow users to access and edit documents from anywhere, anytime on all devices for free. 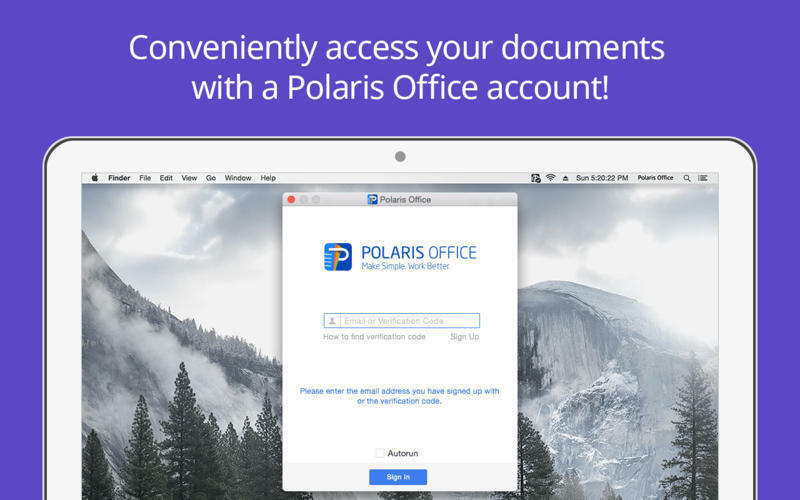 Installing Polaris Office Sync program allow users to sync documents on desktop to Polaris Office service, moreover documents on iPhone, iPad can be continuously worked on desktop. Polaris Office Sync will now enable your BYOD (Bring Your Own Device) smart work life! Localized in English, Korean, Japanese, and Chinese (Simplified). Polaris Office Sync needs a review. Be the first to review this app and get the discussion started! Polaris Office Sync needs a rating. Be the first to rate this app and get the discussion started!